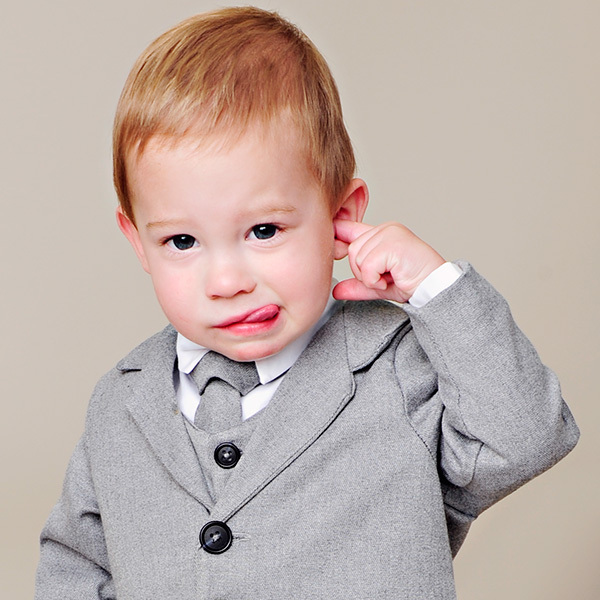 At One Small Child, we work hard to bring you wonderful products to shop. But sometimes it doesn’t feel like work at all. Sometimes we get to do the shopping! For our Fall Collection, we shopped for some great dresses and jewelry for our mommy models to wear. 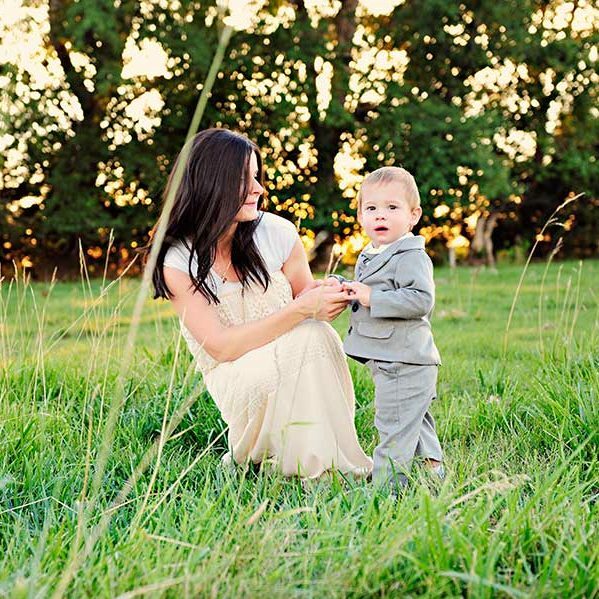 Today we’re sharing those gorgeous mommy looks with you. After all, aren’t we mothers always in the background of our littles’ lives? And backgrounds can be beautiful too, right? 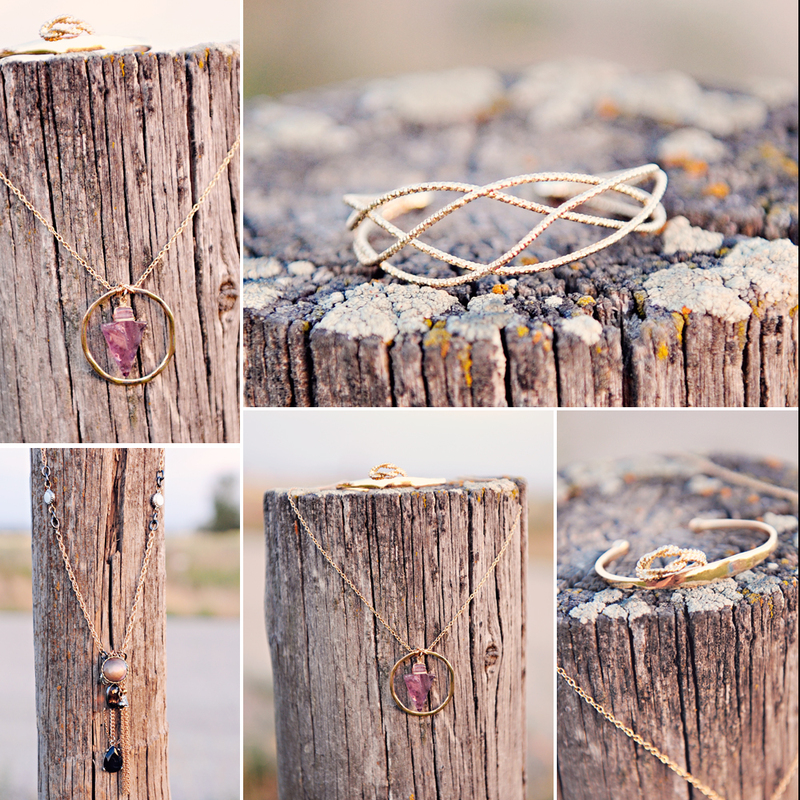 We loved the way our fall collection photoshoot turned out! 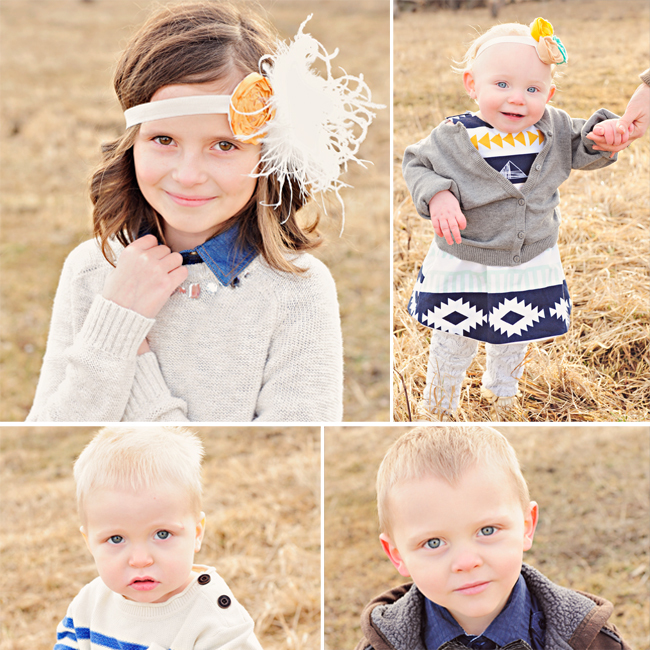 Our awesome photographer was able to capture so many great images of our adorable models and their moms. 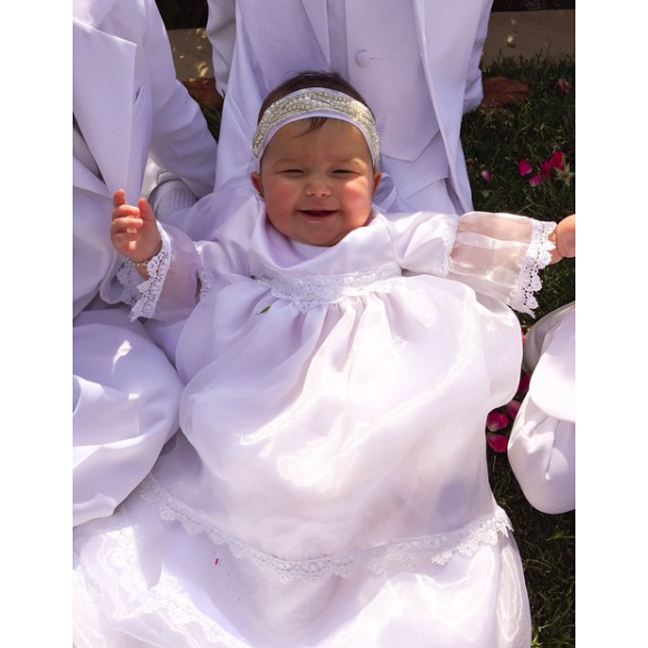 As promised, here are some pictures of adorable baby Norah’s special day. She’s dressed in her gorgeous gown, designed by her mama, Lindsey. Her older brothers look so handsome! 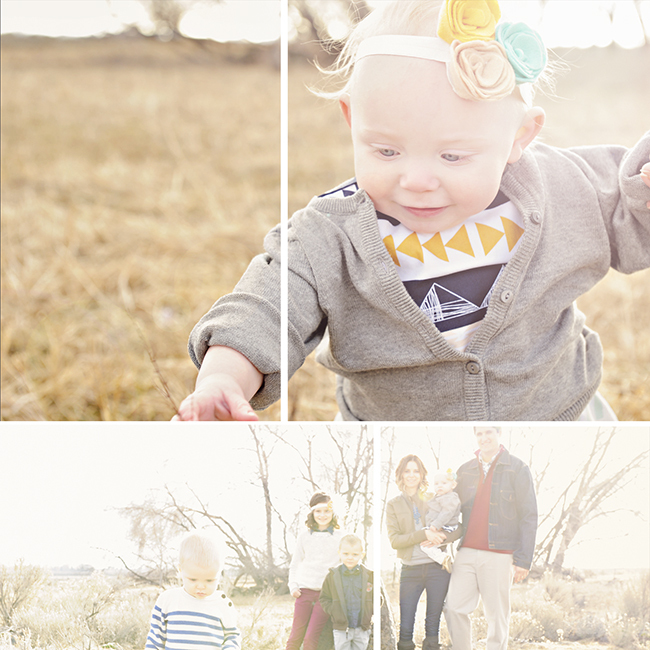 We have loved getting to know Lindsey and her beautiful family a little better. We feel so privileged to have been a part of making their wonderful occasion special. 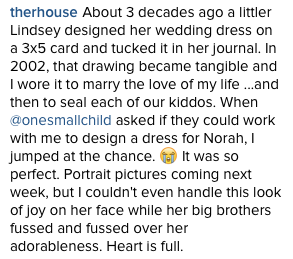 Here are a few snapshots and some thoughts and feelings Lindsey shared via Instagram. Lindsey is someone who I have looked up to for many years. 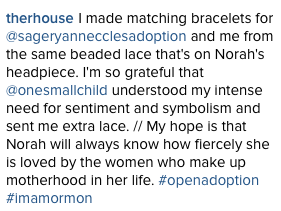 When I started the adoption journey over 6 years ago, Lindsey’s blog therhouse was light in a dark world of unknowns. Adoption is exciting and scary all at the same time. 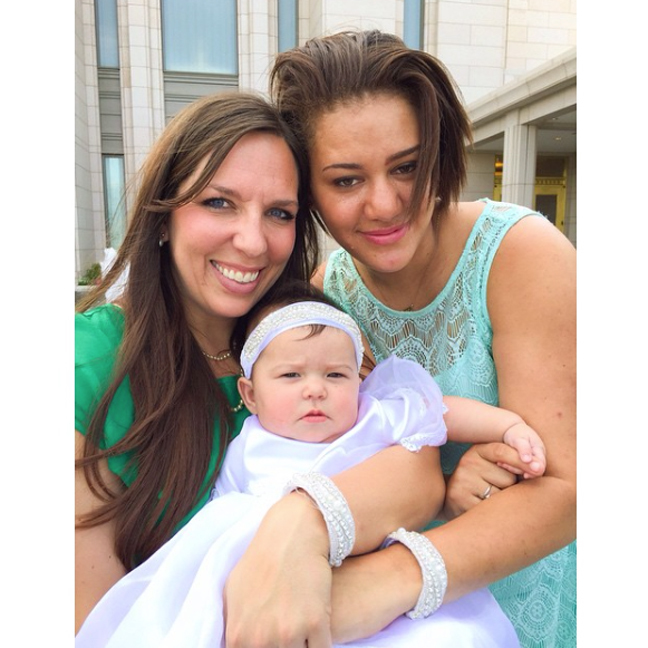 Lindsey’s blog educates people on what a healthy open adoption looks like. It shows you how incredible birth parents are. Birth parents are often times greatly misunderstood, and Lindsey’s mission in life is to change the stigma. Birth parents are incredible people with a great love for their children. 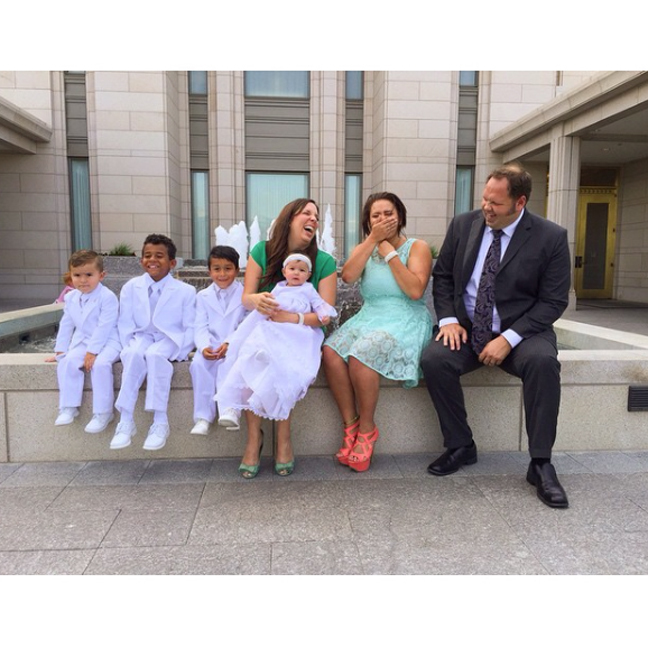 Lindsey has four children, all through the miracle of adoption. Three boys and one baby girl call her Mama. My third child and Lindsey’s third child even share a birthday. How cool is that!?! 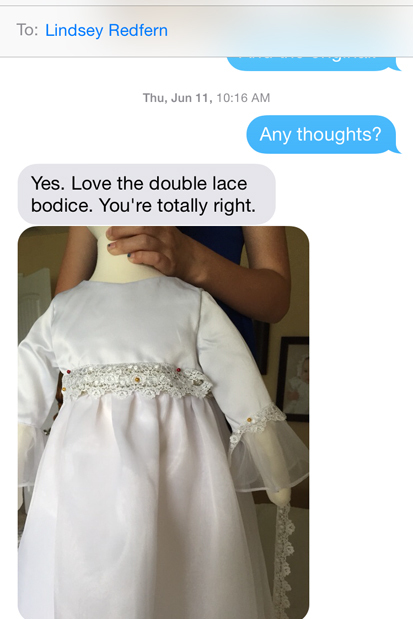 When Lindsey adopted her fourth child, her first little girl, I knew I wanted to help design her dress. I was ecstatic when Lindsey whole-heartedly agreed. Together we came up with a unique design made just for Norah. We started with some sketches of our basic idea. Isn’t it amazing to see how much the design evolves when you compare the first sketch to the final product? The next step was to draft the technical drawings. 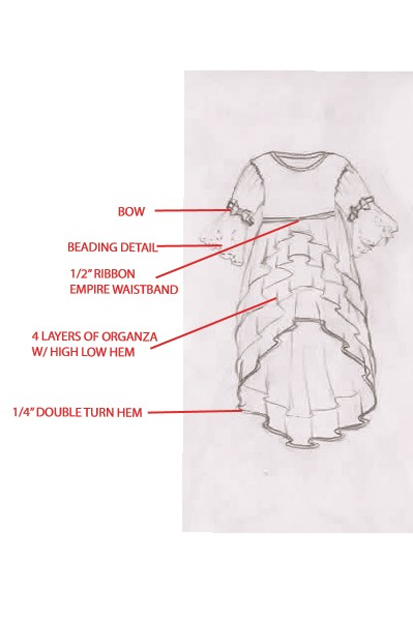 This gives us a more in-depth idea of how to construct the gown. From this, we made our first sample. 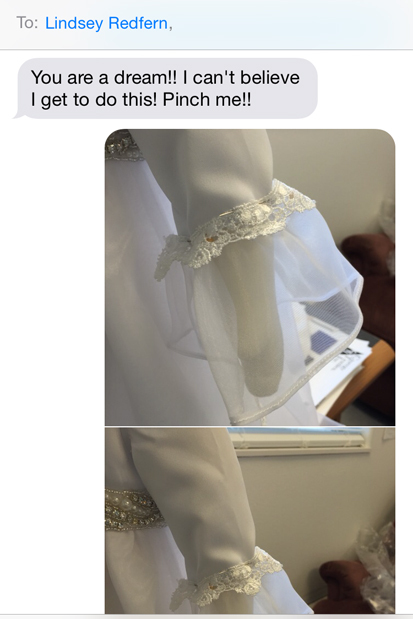 Lindsay and I shared pictures back and forth via text. 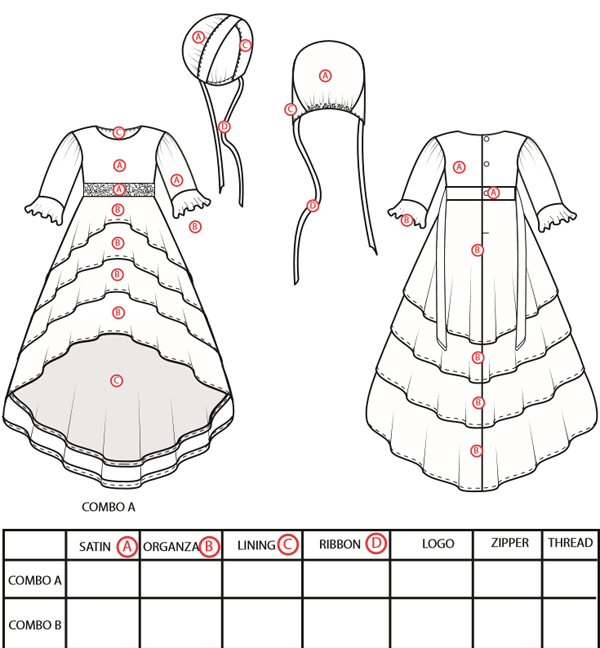 Lindsey has a love for lace and asked that we incorporate that in the gown. We went searching for something fabulous and found this gorgeous Venice lace for the Norah. It was such an enjoyable experience to design a gown with a woman who I truly look up to. She was SO fun to work with! Stay tuned for images of Norah’s special day. We are proud of our roots, and proud to call Idaho home! In case you missed it, we are excited to share this link from KPVI, our local news station. 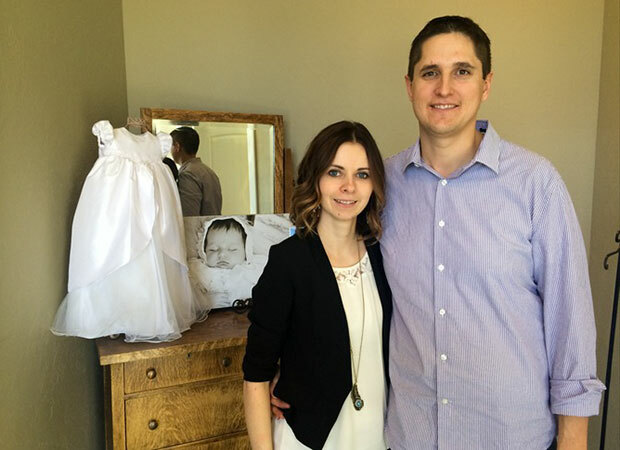 They recently ran our story about One Small Child’s new ownership and the opening of the Baby Boutique. Enjoy! Being a business owner, a wife and a mom is a lot to juggle at times. I love One Small Child and I love my work. My first priority, however, has always been my family. Most days striking the perfect balance is a challenge, but I’ve learned a few time management tips that have definitely helped. Taking time to read scripture in the morning is a must-do for me. Otherwise my day is chaotic and I feel like I struggle to balance everything. I recently tried something new with dividing my week into days. Sundays are all about family. We go to church and we visit grandparents. It’s important to me that my kids have a good relationship with their grandparents, so we make this a priority. We don’t schedule anything else on Sundays. Mondays are our get ready for the week days. I make a plan for the week. The kids and I do all the laundry. I make a menu plan and a grocery list. This helps us avoid the last-minute ‘what’s for dinner’ panic. Making sure I have everything I need for each meal makes it so I don’t have to run to the grocery store several times a week. Tuesdays are kid-friendly days. I keep Tuesdays open to focus on what they need. Wednesdays are my bread-making days and a big kid-running day. A lot of the kids’ lessons and activities happen to fall on Wednesdays, so I wear my taxi hat those days. Thursdays are my work meeting days. We have a scheduled meeting in the morning, and I try to check up with things in production after that. Fridays are our chore days. The kids are getting to the age that they’re learning how to do chores, so we spend the morning getting all that done. On the weekends, we do a pizza and movie night as a family. We also make a once-a-week date night a priority, which usually works out best on Friday or Saturday nights. I try hard to not over-book myself and to stay flexible. This helps me keep the focus on my kids. They’re little and I know they need their mom. We are bursting with excitement today, as we announce that One Small Child is now under new ownership! New owners Kendall and Katy have been with the business for over 30 years combined, and are excited about taking the next step to help it grow and develop. Learn more about them here. 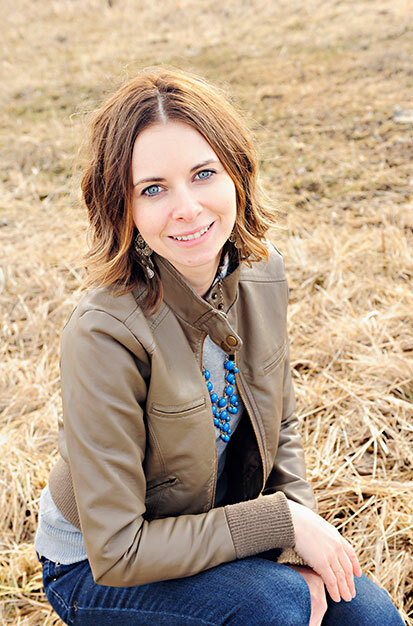 Learn more about Katy, this amazing mompreneur, today on Mom Talk. -Tell us a little bit about your family and why it is special? Our family is unique and special, as we had the incredible experience, to give birth to a beautiful little girl, who is now 10 years old. Our oldest is wise beyond her years and brings a quiet strength to our home. After her birth, we suffered through a miscarriage and many years of infertility. 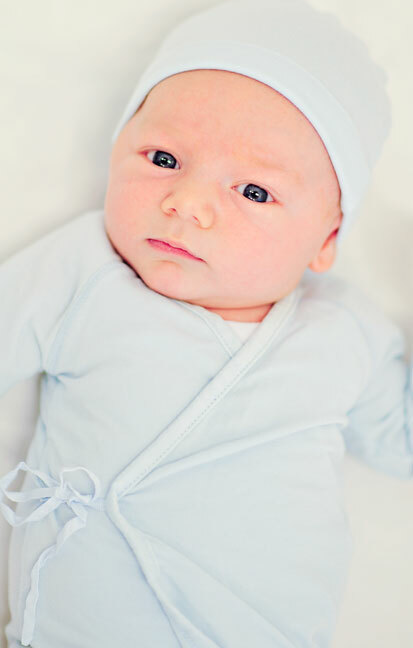 Infertility as it turns out, is one of my greatest blessings, as it led to the adoption of our oldest son. His adoption and entrance into our family happened very quickly one afternoon, with a exciting phone call and a beautiful baby boy in our arms that evening. His incredible birth mother turned to us once again about two years later with another pregnancy. We excitedly prepared for another baby and welcomed another son to our home, with the same blonde hair as his beautiful birth mother and brother. We were thrilled and beyond grateful to be blessed with three children. This last year we also welcomed the baby sister! All three of our youngest share an incredible biological bond and the same beautiful blonde hair as one incredible woman, their birth mom. We have nothing but love and respect for a woman that trusted us to raise and call our own not one child, but three. Kendall and I take that trust seriously and do our best to make sure it is well placed. 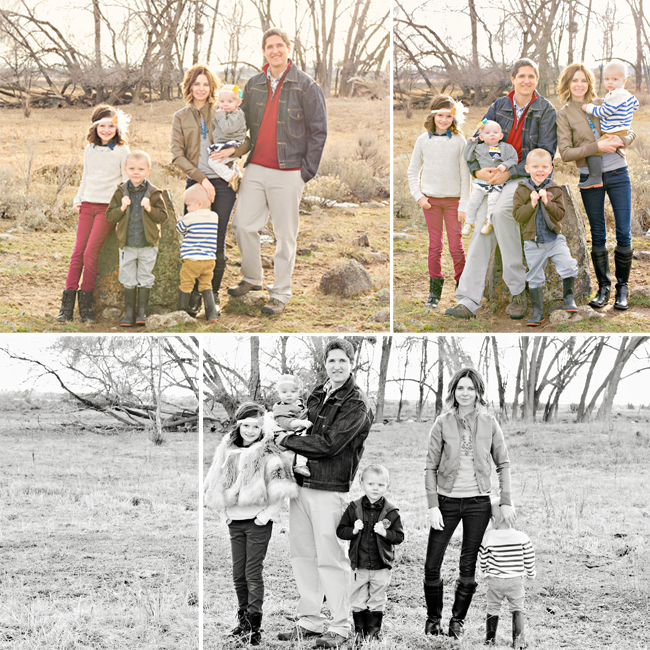 We love each one of our children and each day say a prayer of gratitude for our family of six! -What do you do for work/volunteer outside of the being a wife and mother? I love adoption, obviously, and I volunteer with a local adoption group. I also love helping in my local church. For work, I have the great opportunity of working with my amazing team at One Small Child. I love the feeling I get when my team and I accomplish one of our goals or projects. We love pizza/movie night! This is something I did with my family as a child and we continue the tradition of laying out a blanket on the floor and having a pizza picnic and movie. There was always something exciting about being allowed in the living room in front of the television, for that one night. I love to take hot baths and have the iPad on the counter with a great Netflix movie to watch or who doesn’t love a little Downton Abbey! I am also a huge advocate of a weekly date night. I love spending time with Kendall and I feel it is very important to take time to reconnect with him. Shrimp stir fry, it’s easy and healthy! Just take a bag of frozen shrimp, a bag of frozen veggies, add 2-3 tablespoons of butter to the pan and the juice of one lemon and cook for 10-15 minutes. Then I take 1 bunch of cilantro and parsley, 1/2 cup of olive oil or avocado oil, 1 tsp salt, and the juice of one lemon and blend it together to make the sauce. I pour a little sauce over each serving of shrimp and veggies and it is delicious! You can use chicken instead of shrimp too! I am going to say my oven. Because I love to cook and bake and my oven has been used every single day! I could not live without it! Today, we’d like to say thank you for a wonderful first week! The One Small Child Baby Boutique has been a huge success! Our lovely boutique offers an exceptional shopping experience. 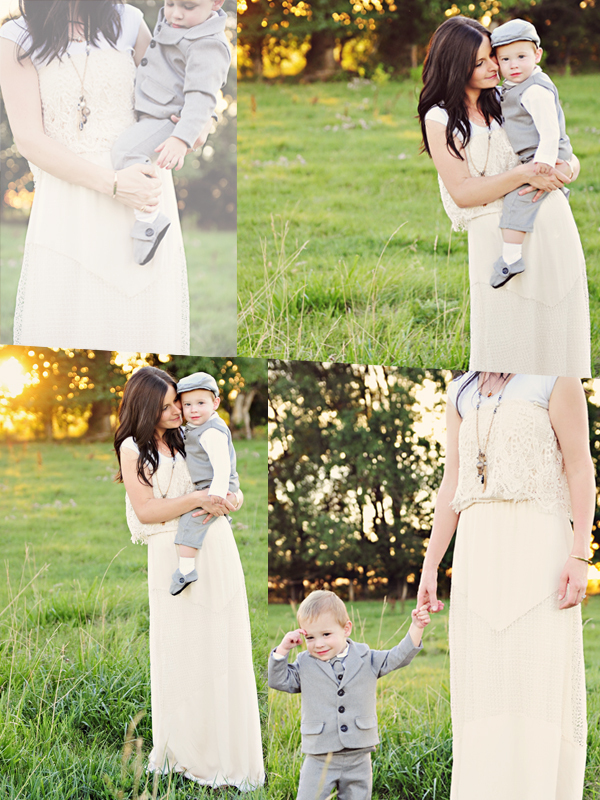 Fall in love with the perfect LDS blessing outfit. Have it personalized while you browse preservation supplies. 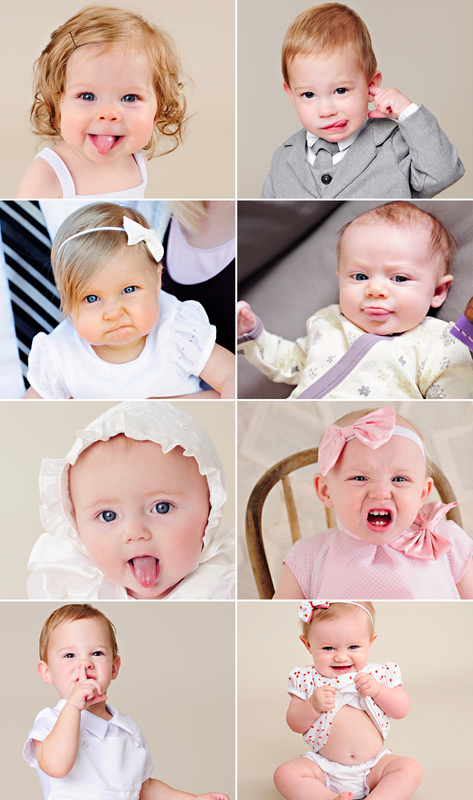 Get a thoughtful Christening gift! 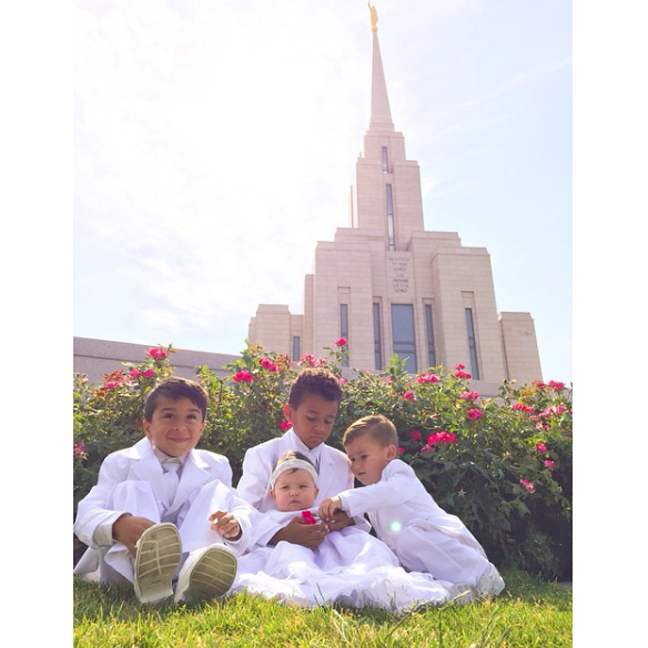 Give your girls an unforgettable experience as you find the perfect LDS Baptism dress. She’ll feel like a princess as you help her choose the perfect accessories. Our amazing staff bends over backwards to help make your event magical. 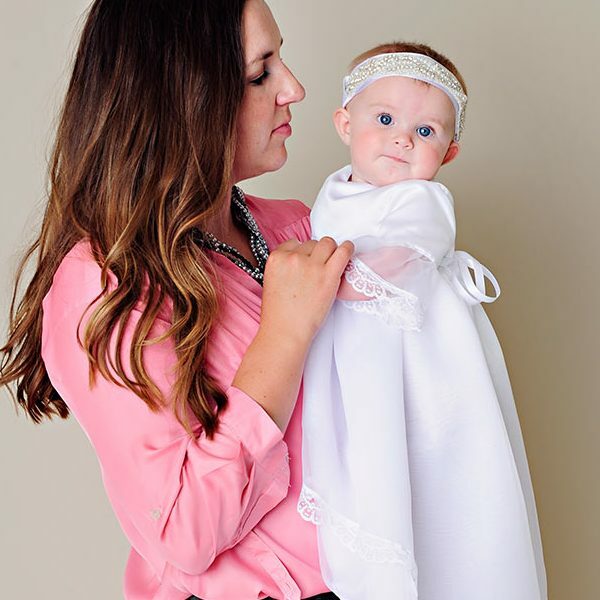 One Small Child’s Baby Boutique also features products from your favorite baby vendors: Aden and Anais, Finn + Emma, Lily’s Closet, Car Seat Canopy and there’s lots more to come! From Christening gifts to newborn essentials to first birthday presents. 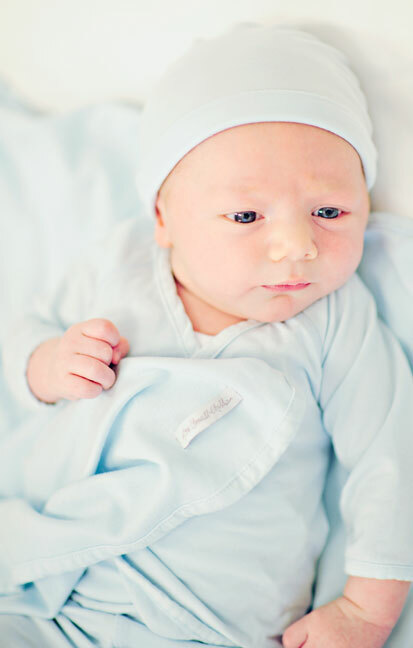 We’re your go-to shop for adorable and unique baby items! We hope you’ll stop by often to see what’s new. Thank you to all who came to join in our festivities! We are excited to continuing serving you! We look forward to 30 more wonderful years! Call for hours or an appointment 208-680-0731. As always, you can shop online anytime at www.OneSmallChild.com.